Thanks, @misterneutron -- you save me having to type this out. It is a simple fact that the people most likely to be injured by firearms in your home are your family members. And the rest of us would really appreciate it if the gun-owners would stick to just shooting themselves and other gun-nuts, then maybe the problem would solve itself through attrition. Of course, my parents were devout Christians who practiced their faith, and my father offered his life in defense of the country, of me. But when one of us kids used something improperly, it was taken away from all of us. A very powerful lesson, which, I've since learned, is also easy to implement and police. Lesson quickly learned. Modern Republican conservatives are very permissive. Excerpt from NYT reporting on the day it happened. It's about as easy as it is here. As the law stands now, any person age 16 or older with an entry-level firearm license can keep any number of common rifles and shotguns without an official record of those guns being kept. Most of the guns in circulation can be sold on the internet or through ads in newspapers, and the most popular types of firearms can lawfully change hands in private homes or even hotel parking lots with no requirement that a record of the transaction be kept. Here is what the Japanese are required to do before obtaining a gun. 1) Take a firearm class and pass a written exam, which is held up to three times a year. 2) Get a doctor’s note saying you are mentally fit and do not have a history of drug abuse. 3) Apply for a permit to take firing training, which may take up to a month. 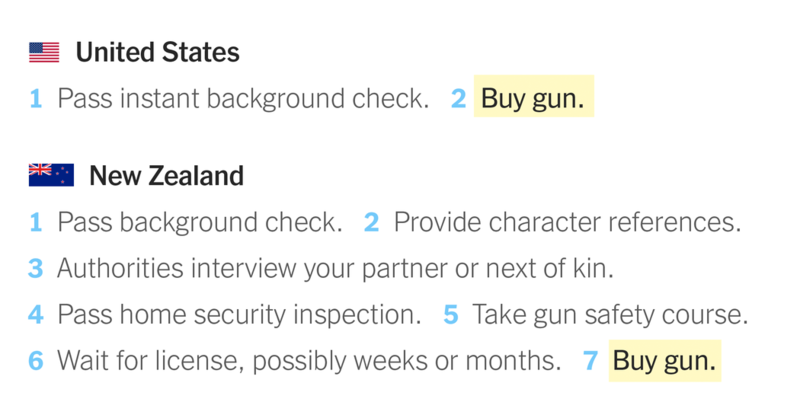 4) Describe in a police interview why you need a gun. 5) Pass a review of your criminal history, gun possession record, employment, involvement with organized crime groups, personal debt and relationships with friends, family and neighbors. 6) Apply for a gunpowder permit. 7) Take a one-day training class and pass a firing test. 8) Obtain a certificate from a gun dealer describing the gun you want. 9) If you want a gun for hunting, apply for a hunting license. 10) Buy a gun safe and an ammunition locker that meet safety regulations. 11) Allow the police to inspect your gun storage. 12) Pass an additional background review. 13) Buy a gun. 4) Describe in a police interview why you need a gun. About 99 percent of American gun owners could not fulfill this requirement. I'll bet a lot of people get shot in Japan, you know, since it's so hard to get guns there. Starting in July 2019 CA will require background checks before buying ammo, a proposal from Gov. Newsom while he was still Lt. Gov. It's considered progress but it sounds like what item six describes. 1) Go to a gun market or find a seller online. 2) Buy a gun. NZ doesn’t require most guns to be registered. The best idea I've seen about gun control is that just incremental hurdles to ownership and various forms of use will stop a certain number of people and keep that many more guns out of people''s hand and predictably save that many more from injury and death. It's easy to buy guns now, and easier still to buy ammo. The minor inconvenience of filling out a form and waiting a minute or so will be some deterrence. Certainly worth doing. Future sales and ownership might be doable, but it seems like there are stockpiles in the hands of a large of number of the wrong people's hands. Think the Las Vegas massacre. Or any other massacre for that matter. Any movement in that direction is good even if it is more symbolic than not. It's gone so far the other way that we need movement back toward sanity - any movement. Yeah, especially since it's defeatist to say bummer, too many guns out there, can't put the toothpaste back so let's just give up. That's not a helpful attitude. Existing data on Russia Illegal guns in Russia are estimated to outnumber legal guns by a factor of 3 to 1. 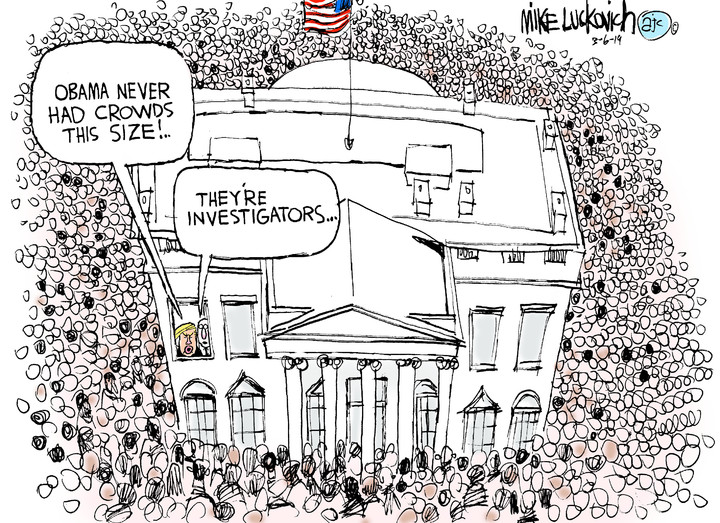 I suspect illegal everything outnumbers legal everything in Russia by a factor of at least 3 to 1. Oh yeah, even the basics that get you through the day. There's even a name for it, Blat. As reported by The Moscow Times, the shadow economy totals just under 20 percent of Russia’s 103.6 trillion ($1.85 trillion) legitimate GDP. Wow. I didn't know the name before. Thanks. That reminds me of medlar fruit, which isn't ready to eat until it has bletted. "While curtailing gun owners’ rights is a political battleground in the United States, Christchurch gun owner Max Roberts, 22, predicted Ardern won’t face serious opposition to her agenda. “There will be no opposition to it. There’s no movement in New Zealand for that. Our media and politics are more left wing,” said Roberts, a carpenter who uses guns for hunting." There will definitely be opposition here - there are gun nuts here, too. And they lobby fiercely. I should also note that in 2017, the Minister for Police rejected tighter gun regulations. Not coincidentally, she is also an avid hunter. New Zealand has 250,000 firearms license holders, and most of them are males between the ages of 40 and 70. It has an estimated 1.2 million guns - estimated, since most guns don't have to be registered. There are a lot of farmers and recreational hunters here. I don't know why any of them would need an AR-15 type gun. Come to think of it, pistols are more heavily regulated than semi-automatic rifles.